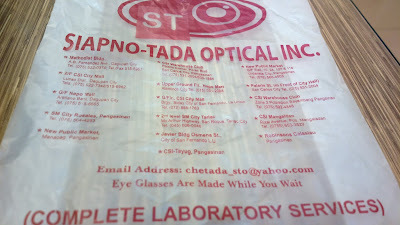 If there is a brand name I can trust for optical needs, it should be Siapno Tada Optical. 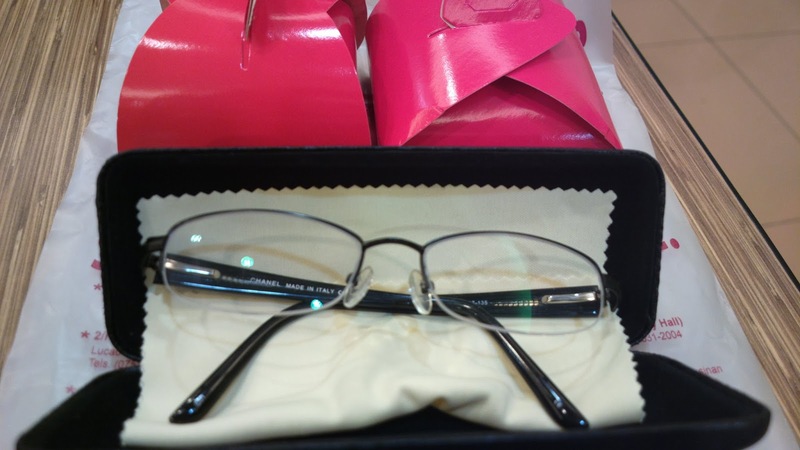 This brand offers glasses for reading and correction, shades, contact lenses, and other eye related products. They have branches all over North and Central Luzon as well as nearby areas. What makes it different from similar brands is the free consultation. An ophthalmologist will examine your eyes using up-to-date equipment and tools and will write a prescription based on what your eyes need. The glasses are also made while you wait. It's done in about an hour. Apart from the free consultation, most branches offer seasonal discounts including buy one take one promos and freebies like the fortune cookies on the photo above. I actually got my latest glasses from them during a promo season. :> But do take note that products from branches located inside malls are obviously more expensive as compared to items sold at branches in a non-mall location. As for prices, the lenses are inexpensive and the difference in terms of pricing will be dependent on frames you will choose and the type of lens prescribed. Naturally, the higher the lens type, the more expensive it becomes. If you avail of add-ons such as an anti-glare lens, then it will cost you additional fee. As for lenses, you’ll find various types from affordable local made to branded varieties. The frame is separately sold from the lens. To contact Siapno Tada Optical for inquiries, branch locations, and more, visit their Facebook page. Chanel with lenses for P2000.00? That must be fake. Have yours checked by the distributor of Chanel and chances are, what you bought are just knock-offs. Most likely it's not real and is only a replica. Anyway, that was a long time ago, circa 2013. Magkano po kapag magpapagawa ng lens na multicoated magkano po? Mga 1,000 usually ang base price nyan (frame not included). Meron ba silang anti-radiation glasses? Not sure po. Try nyo na lang itanong sa isang branch.